Jul 19, 2017: Planing to set up a home network for the first time, want a sanity check. Aug 27, 2017: Buying modem and router for 100 mbps. max speeds on a college budget. Any recommendations? Nov 23, 2017: Can you use any Wireless router with Optimum modem? Dec 17, 2017: First time setting up internet. What do I need? Jan 14, 2019: Didn't realize I was being charged for my gateway modem/router! 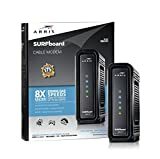 Help me pick out new router and modem? Feb 11, 2019: Trying to Download a Video Game... the amount complete keeps dropping down. Feb 26, 2019: What's been your experience with Teksavy's home internet? Mar 26, 2019: Does the modem matter with basic plan?